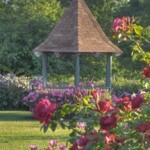 Held each year in June, the peak of the rose blooming season, this rose-colored celebration focuses on the beauty of over 300 rose varieties located at the historic Maplewood Rose Garden. 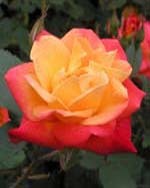 In addition to the beauty of over 5,000 roses, the event will include two days filled with horticultural workshops and demonstrations by Rochester’s top gardeners and landscape professionals and hands-on gardening/landscaping activities for adults and kids. 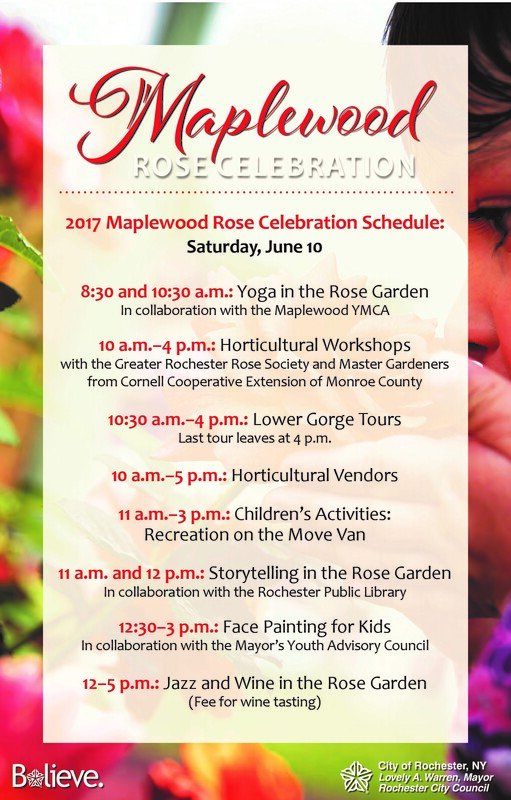 The Maplewood Rose Festival is sponsored by the Maplewood Neighborhood Association and the City of Rochester. Since 2016 there has been a shift in the focus of the event. 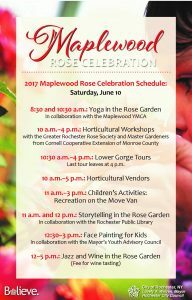 Please Call 585-233-3535 or send any questions via email to rosefestival@maplewood.org. 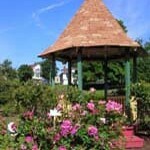 The Maplewood Rose Festival is in it’s 28th year and still going strong. 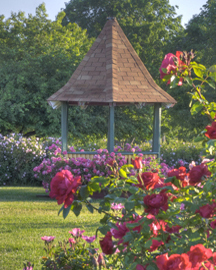 There are many opportunities to volunteer and have a great time all while enjoying the Maplewood Rose Garden. Volunteers are asked to commit to at least a two hour block of time, rain or shine. The festival has only been canceled once due to rain. 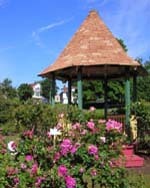 Please contact us at rosefestival@maplewood.org to help us showcase our beautiful neighborhood. 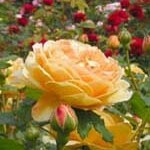 Perennial Swap, Rose Garden Tours, Wine Tasting in the Garden, Music, Children’s Scavenger Hunt and Activities, Gorge Tours, Food Vendors and much more ! Take a free guided walking tour of the Genesee Gorge! 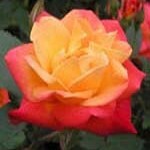 Contact us at: rosefestival@maplewood.org for any questions or comments. 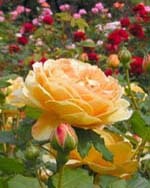 I attended Saturday and enjoyed the roses and vendors.